Chris Pratt does know how to make his girlfriend happy. 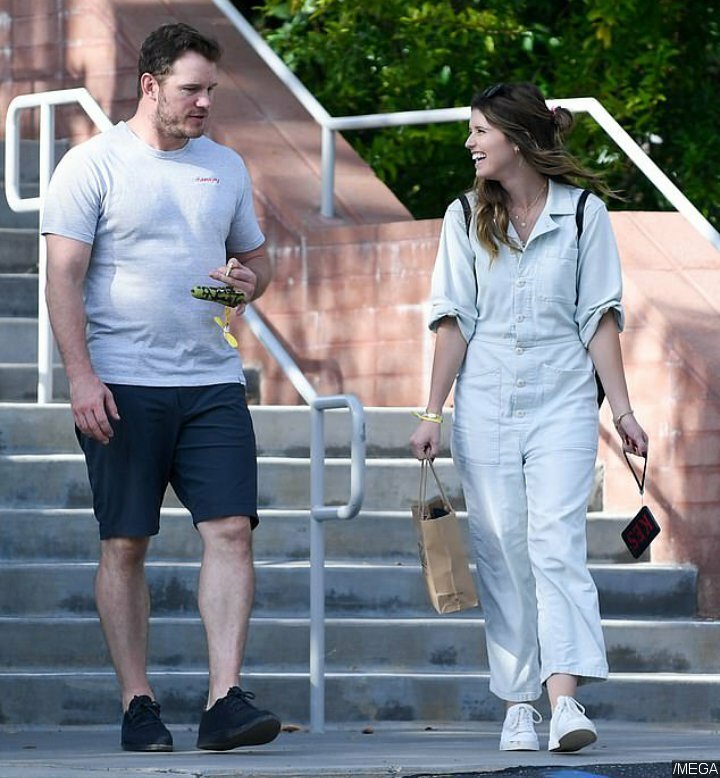 Katherine Schwarzenegger was seen cracking up during a date with the “Guardians of the Galaxy” actor on Wednesday, November 7, the same day his divorce with his ex Anna Faris was finalized. The couple appeared to be in high spirits when leaving a Boy Scout Troop meeting in Los Angeles. The 39-year-old actor seemed to say something that tickled Katherine’s funny bone as she’s seen having her LMAO moment that was captured on paparazzi’s cameras. Chris opted for a comfortable outfit in a gray T-shirt and dark shorts with black shoes. The 28-year-old author, who is the daughter of Arnold Schwarzenegger and Maria Shriver, also went casual in a light jumpsuit and white sneakers. Her long brown hair was styled in loose waves with a pair of sunglasses perched on her head. She also wore some bracelets and carried a black backpack. Their outing happened on the same day Chris and Anna’s marriage was officially terminated. In their divorce settlement, the couple agreed to share joint legal and physical custody of their six-year-old son Jack. They have also agreed to live within five miles of each other’s homes until Jack completes 6th grade, which means for another five years. The two waived the right to spousal and child support. They also have agreed to maintain a joint bank account to use for Jack’s monthly expenses. While Chris has been dating Katherine since summer this year, Anna has been in a relationship with cinematographer Michael Barrett following her split from Chris in August 2017. The exes remain friendly and were even seen taking their son Jack trick-or-treating with their new partners on Halloween. They seemed to get along well, with Katherine and Anna seen chatting and laughing together at one point. Chris and Katherine also snuck a PDA moment, kissing during the outing.